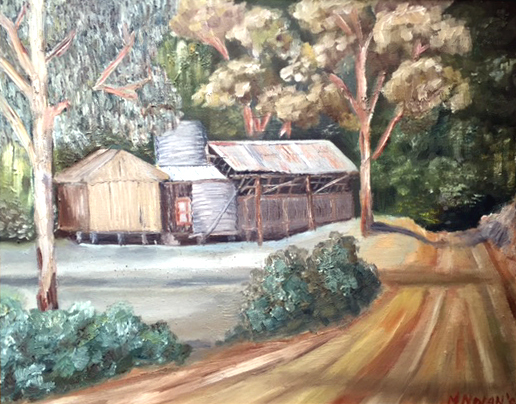 This entry was posted in Art, Humor and tagged art, australian, gold mining, humor, Life, lost, painting. Bookmark the permalink. you should write a book or something Nolsie, you are really talented. I was a bit exhausted writing it! Yes, looking to write a book soon, maybe in the next few years. Thanks for reading, Hope you are enjoying being a dad! Mark your paintings are wonderful! Love this tale of lost and found. I’m sure it was harrowing at the time but glad it ended well. Thankyou Martha! I don’t get to paint too often these days but love it when I do. My kids do a lot of the creating theses days and I am in awe of their works. I really had resigned myself to spending the night lost in the forest and whenever I’m warm in front of an open fire I always think of the hut that night. Thankyou for reading!